When you think of your stereotypical pub grub, the word organic probably doesn't even come into play. But that's far from the case here. 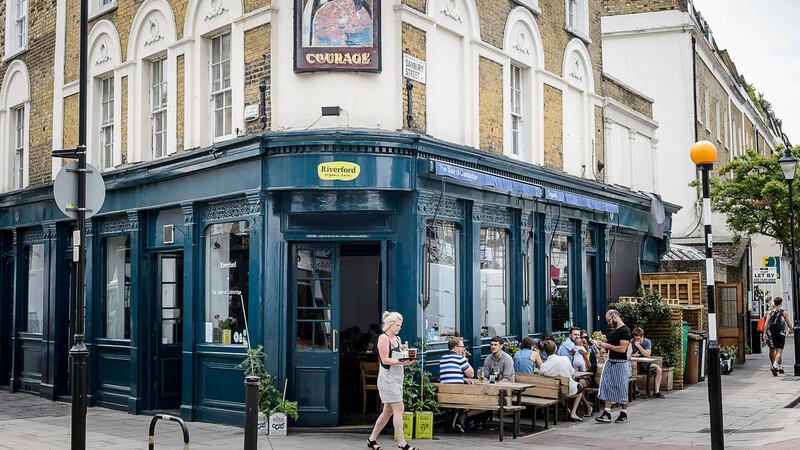 Islington's The Duke of Cambridge is Britain's first and only certified organic pub, with a daily-changing menu that makes the absolute most of its partnership with organic veg box suppliers Riverford. The Duke of Cambridge was founded by Geetie Singh and has been trading for more than 20 years. In 2014, Singh married Guy Watson, the man behind Riverford Organic Farmers. 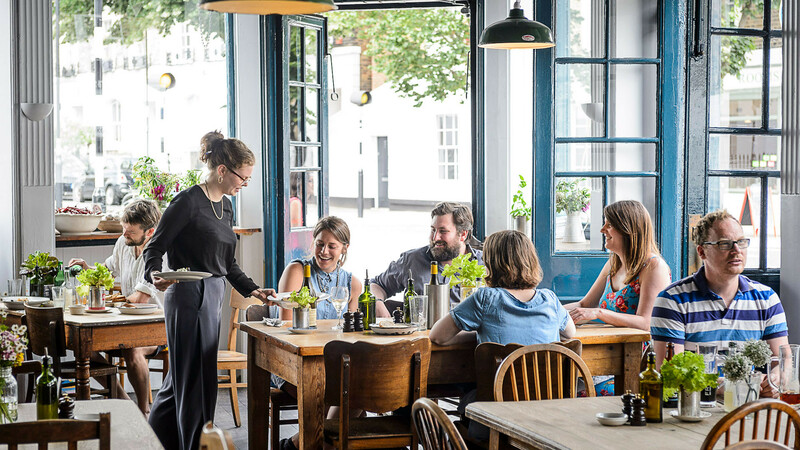 Together the couple have ensured this suburban North London pub's status as a pro-organic powerhouse. Oh, and it's not just about what they put on the plates, either: the pub also strives to reduce food waste wherever possible, using an anaerobic digester to generate energy. Even its furniture is upcyled and second-hand. There's a selection of organic craft beers and wines behind the bar, and the daily-changing food menu boasts fish sourced from Kernowsashimi – a collective of small, sustainable fishing boats working off the Cornish coast – and venison, pork and game from award-winning Rhug Estate Organic Farm in North Wales. 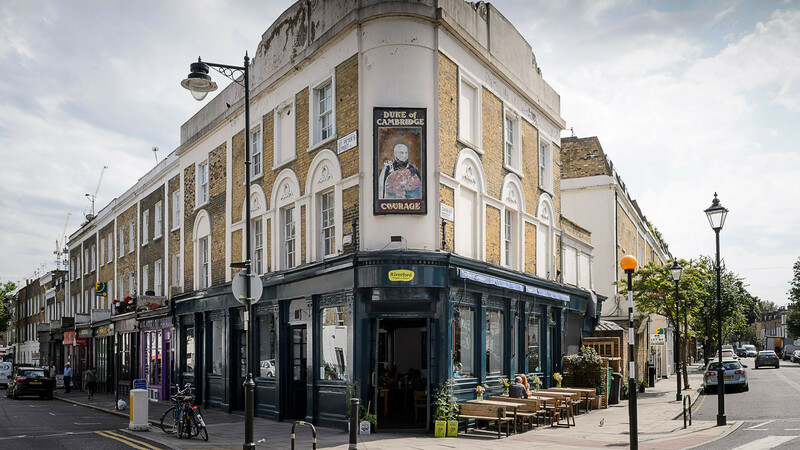 The Duke of Cambridge is a short walk from Essex Road. Find it on the corner of St Peter's Street and Danbury Street, N1 8JT.